The new U.S. astronaut taxis won’t roll to a gentle stop. No matter what mission astronauts are sent to accomplish, the engineers who send them must solve two basic problems: how to get the space travelers off the Earth (and into orbit or on their way to the moon or Mars) and how to bring them back again. With decades of experience in shoving payloads into space, the world’s space powers have unanimously settled on chemical rockets as the best way to launch astronauts. The question engineers still debate is: What’s the best way to land them? Boeing and SpaceX, which, through NASA’s Commercial Crew Program, are scheduled to send astronauts to the International Space Station next year, have been asked to respond to spaceflight’s two basic problems with ingenuity, economy, and gee-whiz technology for the cosmic challenges ahead. Yet one of the most visible elements of their privately designed spacecraft will hearken back deep into last century: They’re shaped as capsules, counting on their blunt, high-drag shapes and a brace of parachutes to slow them from an orbital speed of 17,000 mph to a velocity that human occupants can survive when they hit the Earth’s surface. The space shuttle was supposed to end all that when it took its first flight in 1981, providing airliner-like comfort during its gentle runway touchdown. And in creating the next generation of space transportation, SpaceX, at first, really did try to lean into the future. Elon Musk and his team pushed for a new kind of lander, one that relied on thruster rockets, instead of parachutes, to slow the ship and extendable legs to balance it upon touchdown—a so-called propulsive landing. “That is how a 21st-century spaceship should land,” Musk boasted in 2014, “anywhere on Earth with the accuracy of a helicopter.” SpaceX has largely succeeded with propulsive landing for its payload delivery rockets—the Falcon 9 first stage regularly, and impressively, lands upright on an ocean barge or back at Cape Canaveral. But such leaps forward with live astronauts inside require time and money that NASA was unwilling to commit to a mission whose key selling point was economy. At least that’s what space watchers guess from Musk’s laconic abandonment of the approach in 2017. So the parachutes came out again. NASA’s astronaut splashdowns have acquired a nostalgic if not mythic tinge at the distance of half a century. But they were hairy affairs in real life. Gus Grissom nearly drowned after the second Mercury flight in 1961—a famous incident made more famous by its inaccurate portrayal in the 1983 film The Right Stuff. The next year, Scott Carpenter landed 250 miles off course and spent three hours in a life raft before rescue by the USS Intrepid. Splashdown adventures continued after the moon missions even after more than a decade of fast-paced technological progress. 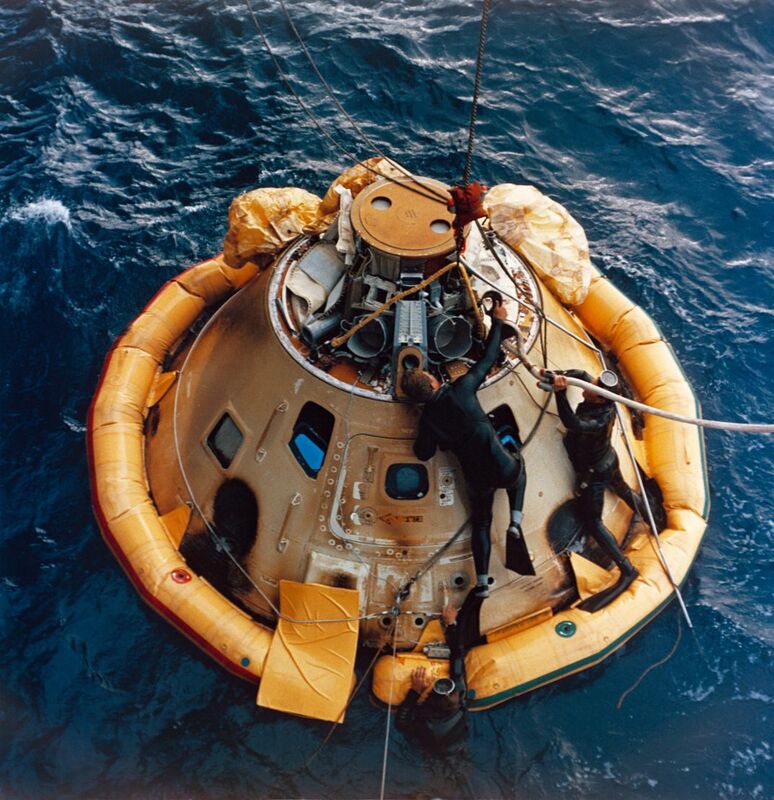 Crews on both the 1974 Skylab 4 mission and the Apollo-Soyuz Test Project a year later ended up face down in the ocean for a while, as heavy seas caught their parachutes and capsized the landing craft. Apollo-Soyuz’s problems were compounded by a leak of thruster exhaust into the cabin that required the astronauts to grab oxygen masks, which were harder to reach while they were upside down. Crew member Vance Brand passed out during the scramble, and one of his crew had to put his mask on for him. 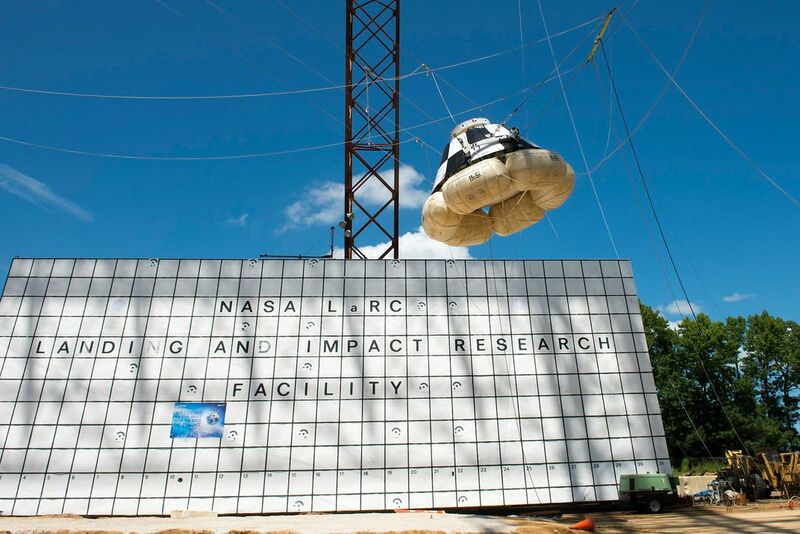 In both cases, inflatable “righting spheres” outside the capsule worked as planned. The ships rotated back to the surface, and the astronauts exited relatively unharmed. Soyuz had a near-fatal accident in 1976, when the reentry capsule blew off course and touched down on a partly frozen lake—five miles from shore, at night, in the middle of a blizzard. Rescuers, who reached the partially submerged ship nine hours later, didn’t bother opening the hatch for two hours because they assumed the cosmonauts had frozen to death. The hardy Soviets survived, though they never flew again. Nevertheless, Lopez-Alegria would rather return from space onto terra firma, given the choice. “Landing on water seems like doing a giant belly flop, so I’m not sure the impact is much less,” he says. “And afterwards I think I’d be happier on land than bobbing around in the ocean.” Ken Bowersox, another Soyuz landing veteran, also thinks land is safer than water. 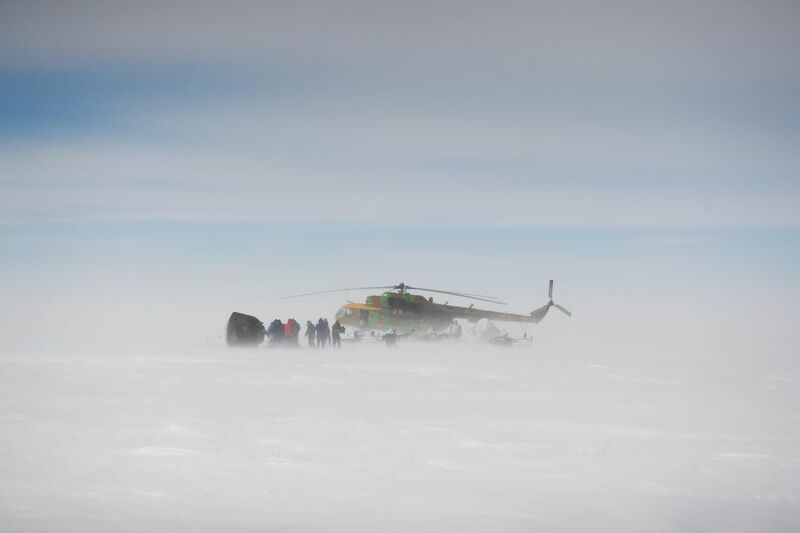 “On land you can have a little bit of a rough landing and still crawl out of the vehicle,” he notes. “If things don’t go well on water, it can get exciting pretty fast.” Describing Bowersox’s own Soyuz reentry in 2003 as a “little bit of a rough landing” might be an understatement. The capsule veered into a ballistic landing that took it hundreds of miles from target. But “we just waited a few hours,” he recalls. “Out on the water, it would have been a lot less comfortable.” As for the impact, Bowersox compares it to the aircraft carrier landings he practiced as a Navy pilot. “It gets your attention, but it’s not worse than a carnival ride,” he says. NASA did study terrestrial landing at various points in the pre-shuttle age, but rejected it for several reasons. At the time, the agency concluded that the United States lacked a properly vast, empty, flat area in the contiguous states. At least when compared to the open, undifferentiated space of the Kazakh plain, even the Southwest desert couldn’t compete, with its canyons, plateaus, and remote towns and reservations. The targeting upon descent just wasn’t precise and reliable enough. What the country did have was a vast amount of open water: copious access to two oceans, a coastal launch site, and the existing maritime infrastructure to retrieve astronauts from the water. Another significant consideration in these terrestrial studies was the weight of the spacecraft. A water landing may end with a smacking plunge, but liquid still has a bit of give; returning on land requires some extra feature to make up for the hard stop, like the retro rockets that Soyuz fires when it’s several feet off the ground for a final brake in the seconds before impact. That equipment makes for a heavier vehicle, though, and in the early 1960s, the NASA brain trust, pressed for time, didn’t think they could get all that weight to the moon (see sidebar). Soyuz may have solved its mass challenge the year the Beatles recorded Sgt. Pepper, but the Russian ship can only cram in three astronauts—half of a space station crew. One key to the expanded seven-passenger, terrestrial-landing vehicle was replacing those retro rockets with airbags. The Starliner will rely on six of them (a seventh, in the center, deploys only for an emergency water landing). They’re inflated with nitrogen and oxygen like the ones in automobiles but designed like bicycle tires with discrete inner and outer layers. 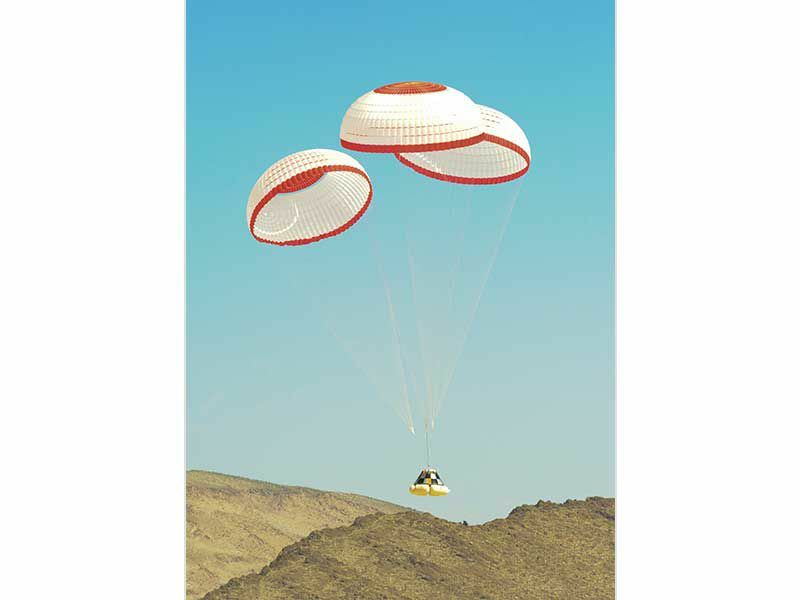 The outer bag has vents that release pressure upon landing, while the inner tube remains firm. Hopefully. Not only is the airbag system lighter than the Soyuz rockets, it should be easier on bodies already depleted by half a year in space, McCarley says. Ken Bowersox is one enthusiast. “If you look at the stunt people who jump off buildings and land on airbags, that should be a pretty reasonable landing,” he comments. Then there is McCarley’s personal pet project: the seat. One way or another, a space capsule returning to Earth under parachutes is decelerating through the atmosphere at around 4 Gs before its sudden stop, says Lopez-Alegria, who still sits on NASA’s human exploration advisory council. That compares to a tolerable 1.5 Gs for the glide-to-a-landing space shuttle. But the impact on the astronauts’ bodies depends, literally, on where and how they sit. Or lie actually, as a human’s spinal column and other vital organs are not designed to absorb 4 Gs in a vertical position. Soyuz passengers already land reclined, with an individually designed seat liner. But McCarley was determined to improve on that with modern ergonomics. He started with a pile of plywood in his garage. “The overall concept to the seat hasn’t changed from the plywood model, but we have added some more advanced materials,” McCarley says. The company also added 3D printing technology to shape an entire custom seat for every Starliner passenger. Given the compact space available, this involved intensive study of human body types. McCarley, who is a stocky 6'1", and Starliner systems engineer Melanie Weber, who stands a bit shy of five feet, modeled themselves for the outer limits of permissible size. Digging deeper into the nuances, the engineers labored to accommodate a range of body types, which they bestowed with pet names like The Orangutan (“long arms that can practically reach across the capsule,” McCarley clarifies), or The T-Rex (broad torso with short arms). 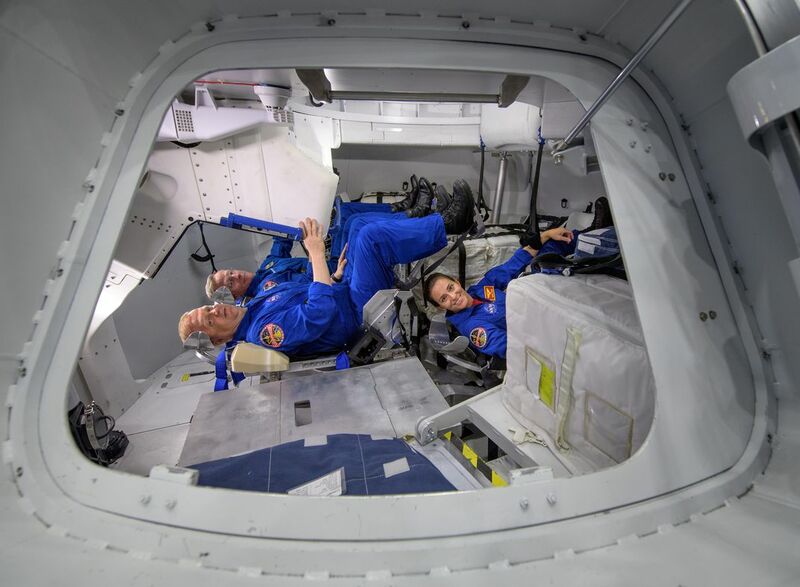 By designing the range of extremes, the team will be better able to tailor each seat using an astronaut’s body scans. 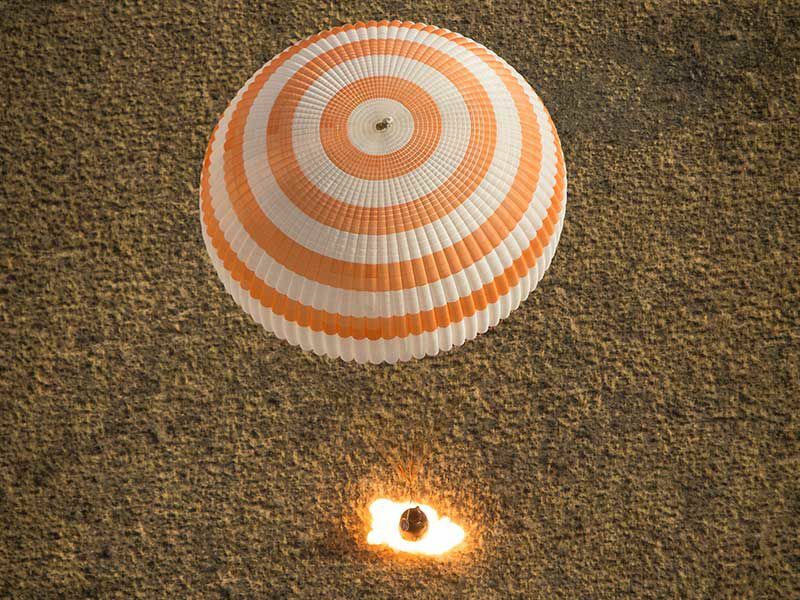 The Boeing team also wanted to improve on the Soyuz-era parachutes. For reasons now lost to the scientific history of the cold war, the Russian ship’s series of parachutes—pilot, drogue, and finally the main chute—opens from one side of the capsule, followed by the pyrotechnic release of a rigging system that forces the capsule to hang straight down. Lopez-Alegria describes the result as “pretty violent side-to-side motion, like Mr. Toad’s Wild Ride.” Boeing promises to smooth the process with two drogue chutes for symmetry, followed by three main chutes for extra stability, not to mention redundancy. As for where the capsule will set down, the Starliner team is more comfortable with their precision landing than were early NASA engineers. The company has a list of five sites in the West—two at the White Sands Missile Range in New Mexico, the Dugway Proving Ground in Utah, Edwards Air Force Base in California, and Wilcox Playa in Arizona—from which they’ll choose primary and backup locations shortly before the end of each mission. Ground crews have been combing for long-forgotten telephone poles and other obstacles, and conducted extensive environmental and cultural surveys to ensure both the safety of the astronauts and the integrity of the land. The Dugway Proving Ground, for example, was established by the Army during World War II to test chemical and biological weapons, and also happens to be an archaeological treasure trove of Native American artifacts dating back 13,000 years. While boeing engineers thought hard about the earthy details of their capsule’s descent to hard ground, SpaceX began its work by dreaming about Mars. In January 2011, the company posted a futuristic 15-second video depicting a tidy trapezoidal spacecraft making an unhurried vertical landing sans parachute, buoyed by flames shooting out from the four corners of its base at approximately 30-degree angles. Elon Musk, in the voiceover, describes it as “a propulsive landing with gear, kind of like [how Apollo 11’s] Eagle landed on the moon.” It looked very cool. But those flame-shooting SuperDraco thrusters, as Musk subsequently named them, were aimed at more than lowering a 14,000-pound Crew Dragon capsule onto a helicopter pad anywhere on Earth. SpaceX insisted they could bring a ship of similar mass safely to the surface of Mars, where the atmosphere is too thin to land anything of that weight by parachute. The heaviest object dropped there to date was NASA’s Curiosity rover, which had about one seventh of that mass and, of course, no fragile human passengers. SpaceX unveiled a Crew Dragon prototype in 2014 with high hopes for its prospects on two planets. In 2016, it posted video of a test model hovering confidently several yards above a platform in Texas. Then Musk called it off. 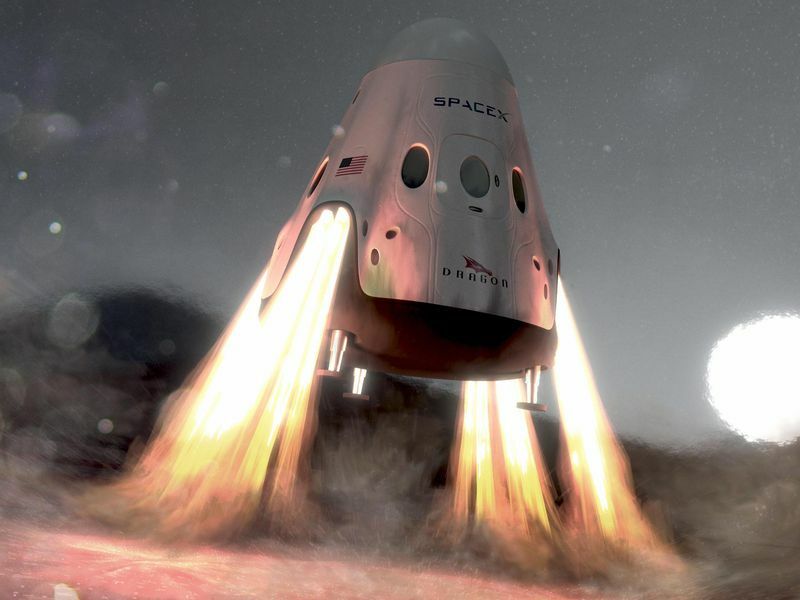 While the Crew Dragon was technically still capable of landing propulsively, he said at a space station research and development conference in July 2017, it would take “a tremendous amount of effort to qualify that for safety.” Besides, he had since divined a “far better approach” to landing on Mars, the details of which he’s kept under wraps. The capsule still carries SuperDraco engines, but they’re to be used only in case of a launch abort. (See “Abort!” Oct./Nov. 2018.) A routine propulsion-landing Crew Dragon seems destined to become a footnote to exploration history, though SpaceX continues to work on the technology for its other vehicles, including the next-generation BFR rocket—an as-yet untested space bus that promises to carry up to 100 passengers to the moon or beyond. The first paying customer for that trip, Japanese billionaire Yusaku Maezawa, was announced in September. Luckily, the company had a proven Plan B for getting crew to the space station. While SpaceX was fiddling with the futuristic system for a crewed ship, as this magazine went to press its cargo ship has quietly flown 15 successful missions to and from the space station, the capsule splashing down without incident. The company has so far managed to reuse four of the capsules despite the saltwater dunking. A still more noticeable difference from days of yore will be the modest flotilla SpaceX deploys to recover Dragon astronauts at sea. Published plans call for a single 164-foot ship, the GO Searcher, with support from several inflatable boats that can maneuver closer to the splashed-down capsule. The GO Searcher will be equipped with a helipad to ferry astronauts quickly to shore if necessary. SpaceX is also predictably eager to expand its reusable technology to the Crew Dragon. The team has gained extensive experience on water sealing and corrosion prevention from reflying four of their cargo ships. But right now SpaceX is only approved to fly a crew with new spacecraft, creating a somewhat ironic situation where arch-rival Boeing deploys a reusable capsule before SpaceX. Rocket watchers are guessing the hold-up will be temporary. Human spaceflight inevitably involves dwelling on worst-case scenarios. “I’m always thinking, Is there something hidden that we don’t know?” says Boeing’s Mike McCarley. “Have I looked behind every door and in the back of every closet? It’s kind of a personal neurosis, but also a professional neurosis.” Since the headlong space race of the 1960s, human spaceflight seems also to involve inevitable delays and frustrating mid-course corrections—from tweaks only the engineers can fathom to shelving whole promising systems like SpaceX’s propulsive landing scheme. At the program’s inception, commercial crew missions were optimistically targeted for 2015. Currently they’re aiming for mid-2019. 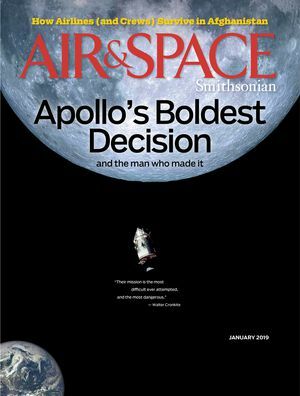 Nor do program delays reverse a clear direction: The commercial crew flights, retro landing systems and all, point the way toward an exciting new chapter in space exploration, where private companies take on futuristic projects from asteroid mining to Mars colonization. “This is revolutionary in a lot of ways,” Lopez-Alegria says. “It’s the first time government has loosened the reins on what size washer to use. It will be a renaissance of sorts.” That’s a door opening that he, and many others, are eager to walk through. Lopez-Alegria’s current gig is head of business development for Axiom Space, which wants to build a privately financed successor to the space station at a projected cost of $1.5 billion. First, though, will come the new commercial vehicles and their dramatic parachute returns—not just to Earth, but for the first time in nearly a decade, to their own country.